Okay, so you’ve probably been wondering why so many local SEO experts are going on about webspam. The smarty pants ones understand how profoundly damaging it can be to your site rankings. That’s Why Google launched Google Penguin in 2012. The dumb local SEO experts actually engage in the practice. Back in the day, you could become one of the many local SEO experts around and syndicate millions of links for your clients. It actually worked for years. Do links matter? Sure, but they need to be natural. As in some kind of footprint that equates to a human being actually creating the link. But that doesn’t necessarily get you ranked. So what does? Genuine, high-quality, original text and video content. Then add tons more. Next, pepper in plenty of time along with a pinch of updated content on your site. Aim for 3-5 pieces of new site content per week. 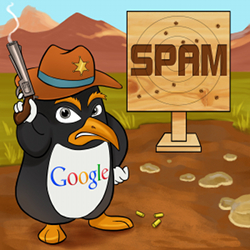 Using webspam is the kind of mentality most search engine optimization flunkies cling to when trying to rank sites. They think simply adding millions of links to your site will do the trick. They ignore that this technique is not only broken, but it’s shattered to pieces. So why do they do this stuff? Laziness. Learn what real local SEO experts should do. Writing original text takes effort. A brain helps too. Decades of writing skills sure helps in the process. Especially when it’s relevant to your core product or service. 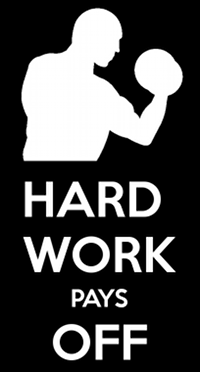 Hard work is about the last thing local SEO experts care to do in many cases. Think about your content and invest in it. Hard work is something that very few local SEO experts do because it limits the number of clients they can manage at any one time. Do the math. 20 clients at $800 a month adds up pretty quickly despite the qualifications of many local SEO experts. I’ know a few agencies that have over 50 clients. Honestly, I could care less what so many other local SEO experts are doing. My business model is based around working with a handful of the very best clients helping them rank. But it doesn’t stop there. Conversion is the real measuring stick of success despite what local SEO experts lead you to believe. I’ll bet it’s the same in your business. All too often what local SEO experts do is focus too much on rankings while ignoring converting traffic into prospects and sales. Real local SEO experts understand you need to sell stuff or at least develop prospects from your site. Duh! Local SEO experts are a dime a dozen so be very careful if they mention backlinking webspam as their technique.